Modern smartphones have a mass of useful functions. This is not just a means of communication, but whole multimedia centers with a lot of opportunities. And many manufacturers, in order to stand out in the market, add very interesting modules to their devices. For example, within the framework of MWC 2018, Caterpillar presented its flagship smartphone CAT S61, which is equipped with a thermal imaging camera and a rangefinder. It is worth mentioning that the main field of activity of Caterpillar is the production of road-building machinery, but this does not prevent the company from producing technological novelties. 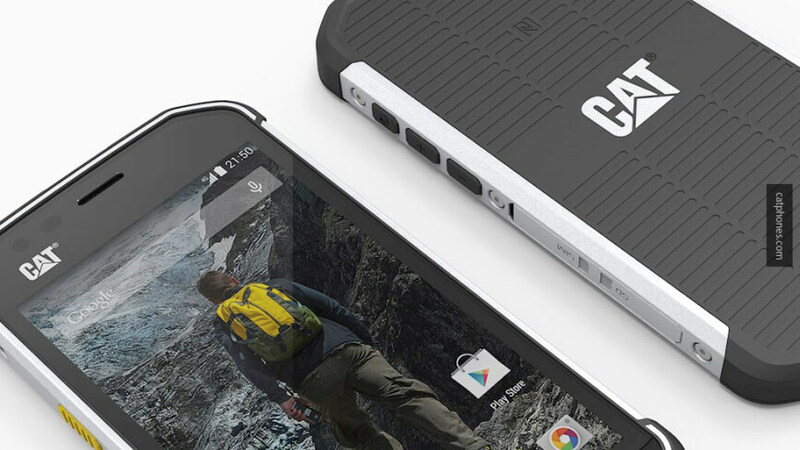 CAT S61 replaces the smartphone CAT S60, which was extremely powerful and was able to transfer extreme loads. In comparison with its predecessor, the CAT S61 received an advanced thermal imager FLIR Lepton, which allows you to measure the temperature in the range from -20 to +400 degrees Celsius. Well, the range finder is able to accurately determine the distance to the object from a distance of 10 meters. In addition, the smartphone is equipped with a sensor to determine the composition of atmospheric air. Among other things, the new device has anti-shock properties and water resistance. The gadget can easily work for 1 hour when immersed in water. And without consequences it will withstand a fall from a height of up to 2 meters. It may seem that such chips do not need a device, but do not forget that designers and builders are increasingly using various electronic devices in their work, so CAT S61 will certainly find its consumer.